The base of the manicure was Ulta Smoke Screen. It is smoky gray creme that is just perfection. Application and formula were great. Two coats for full opacity and coverage. It was not until I put it on that I realized this may be an exact dupe for Zoya's Kelly which is still one of my favorite polishes. That may have contributed to my reluctance to take it off. In the bottles Smoke Screen and Kelly look identical and I will compare them in a swatch at some point. What do you think of the new flakie trend? Love it? Hate it? Don't care either way? I'm such a a sucker for these dark creamy grey/purple shades and with the flakies! Incredible! I love the flakies over grey! @Marta, you and me both! I love these smoky colors! 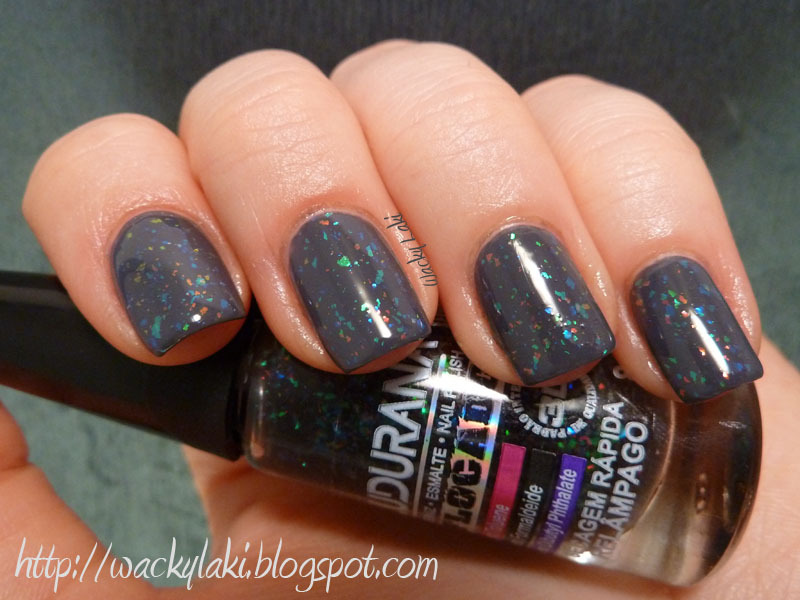 Wow I don't usually like grey polish but this one is really pretty! 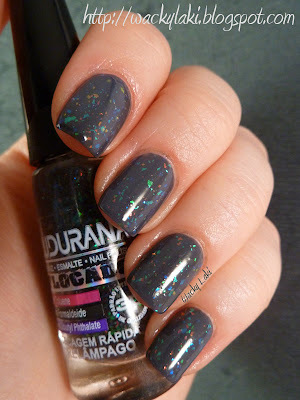 I am loving the flakies with this and am loving the trend! This looks gorgeous. I love that the flakies still stand out in the gray base. I love the flakie trend. I don't see myself growing tired of it.